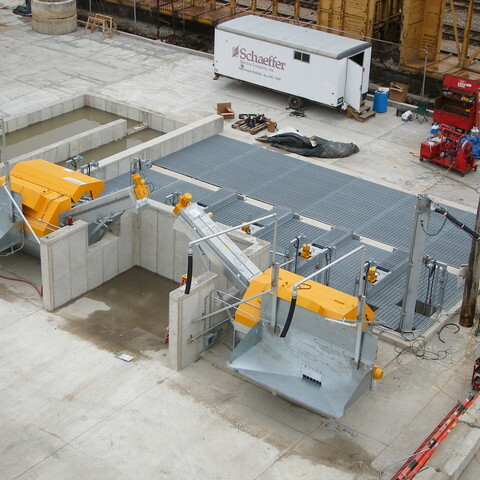 The BIBKO 500 reclaimer is designed for the washout needs of the Precast Industry. 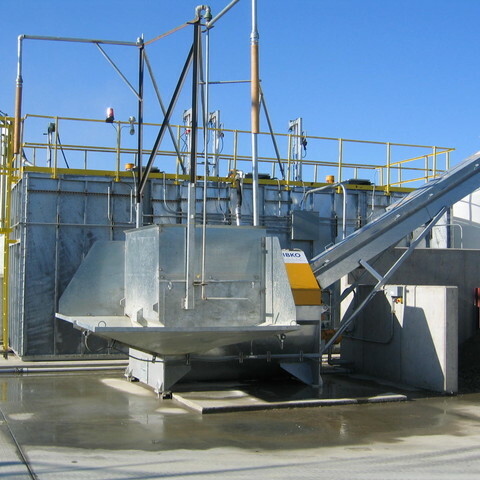 Precast operators can now recycle their concrete pan mixer and holding hopper washout water. 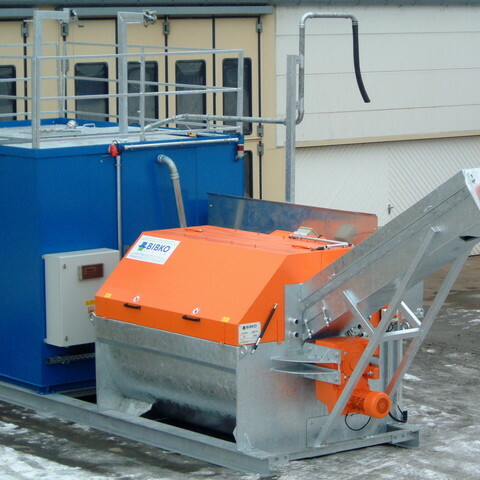 The BIBKO 500 can reclaim 10 cubic yards per hour of washout separating aggregate solids from cement and water fines. 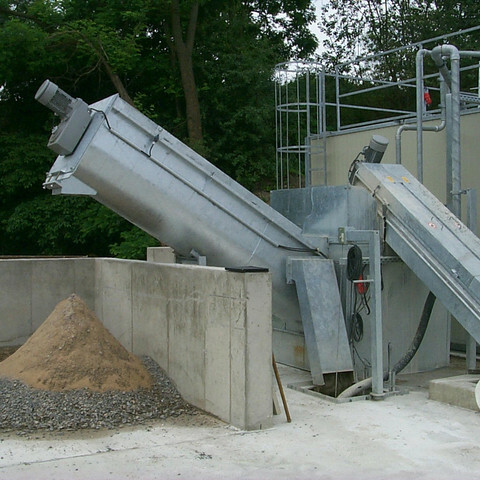 Optional Slurry tanks with agitators can maintain solids in suspension for re-use of the waste water. 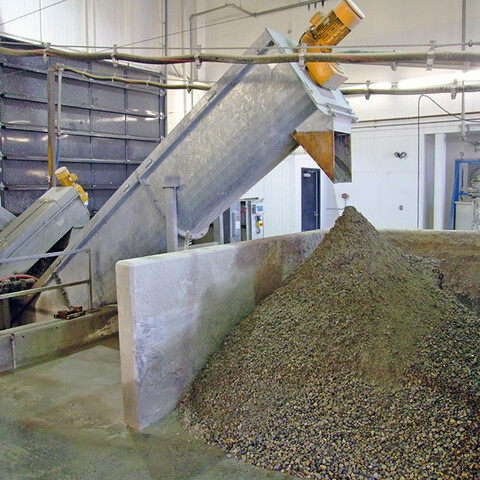 The BIBKO filter press can reclaim additional solids out of the washout water for additional recycling. 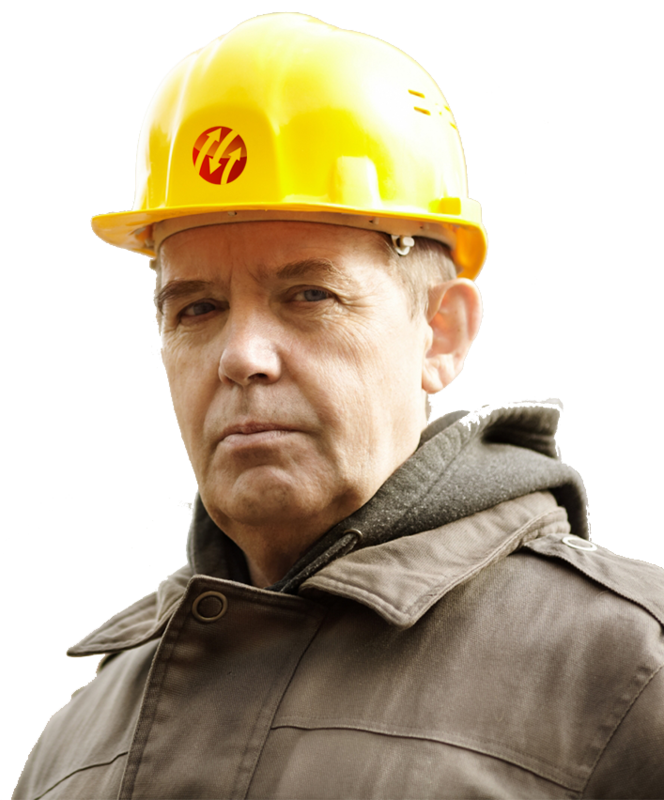 Contact our team today and see how concrete reclaiming can help outfit your opperation.